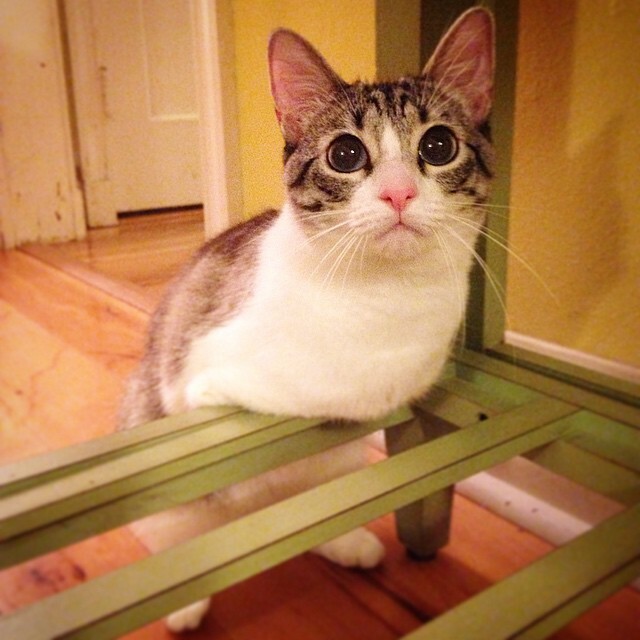 Though she has only two feet, she is as agile as healthy cats. Look how she’s doing day-to day! Roux is a lovely cat, sheltered some time ago by Jackie Deak Akey, Louisiana. 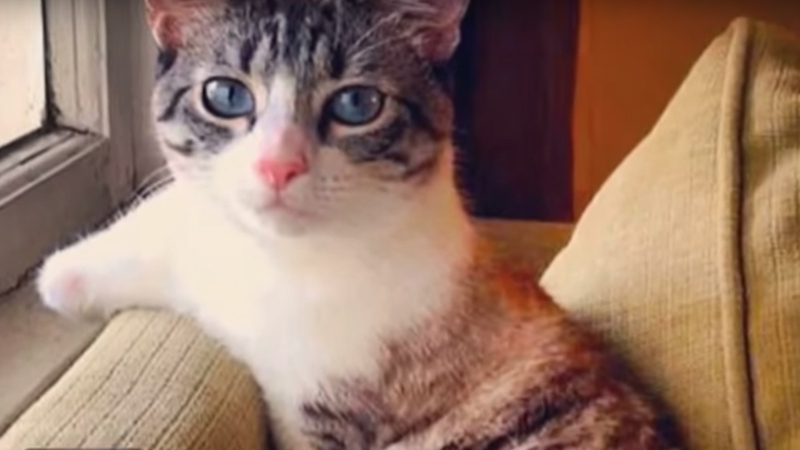 Apparently, Roux is not much different from typical cats – she is agile, loves petting and having good fun, but she became a sensation of the Internet. Why? 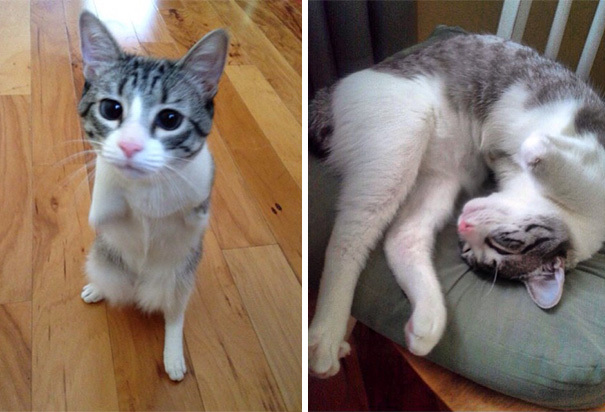 Fate was cruel to her, and Roux was born without two front paws. And yet, in spite of congenital disfigurements, this adorable cat loves to play just like any other representative of the species! Lately she turned two and she is doing well under the guidance of a loving owner, who gave her a safe home and made her healthy growth possible. The Roux’s owner works in a veterinary clinic in New Orleans. She took Roux from an animal shelter where the cat was staying, because the deformation of the body did not allow her to use the litter box properly, and that irritated her previous owners. Fortunately, Jackie immediately fell in love with this bipedal brave cat and it didn’t take her long to decide for adoption. She still claims that it is the best thing she could ever do, because Roux became her most faithful and truly grateful friend. 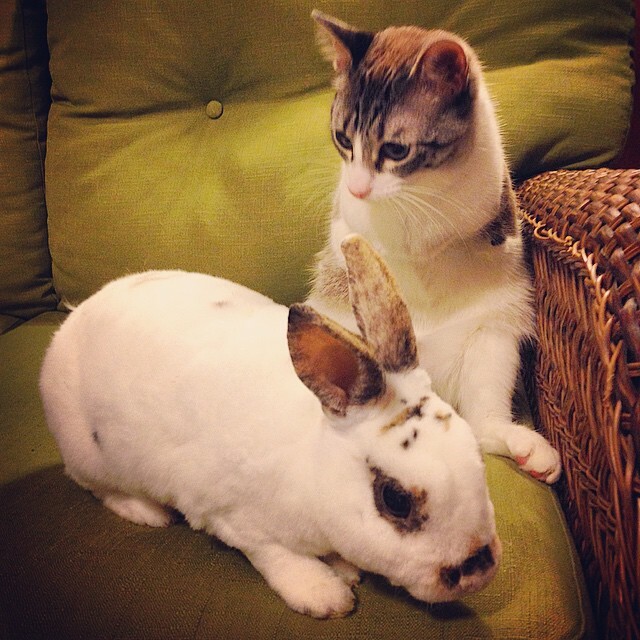 Instead of moving normally, Roux jumps, so some people call her caressingly a “bunny-cat”. And indeed, she feels very good in the company of rabbits :). Balinese salespeople cheat tourists! Almost everyone who spends a holiday there eats dog thinking it was chicken! What does divorce do to a family? These simple illustrations not only answer this question, but also encourage deep reflection! At First Glance, This Is An Old Neglected Table… But After The Nightfall, It Turns Into Something Fantastic! See For Yourself!